We list some of the HOURS of OPERATION information in the first column we thought it might help to expand on that by showing the last known details that we could find and re-directing you to the Official Page from which it came. The Trent Severn Waterway web site offers maps, lock locations, GPS coordinates, hours of operation, history of The Trent Severn Waterway, links to Parks Canada who are responsible for The Waterway. 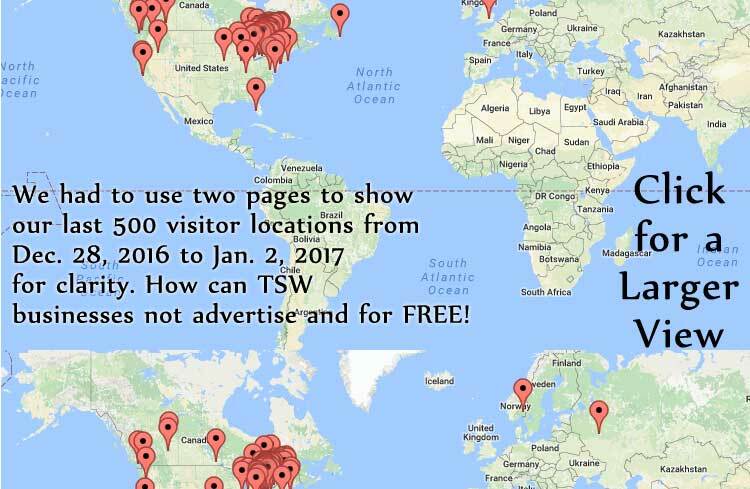 2018 is shaping up to have well over 50,000 visitors to this site and almost 20,000 down loads of our maps and distance charts. Thank you for taking the time to visit us. 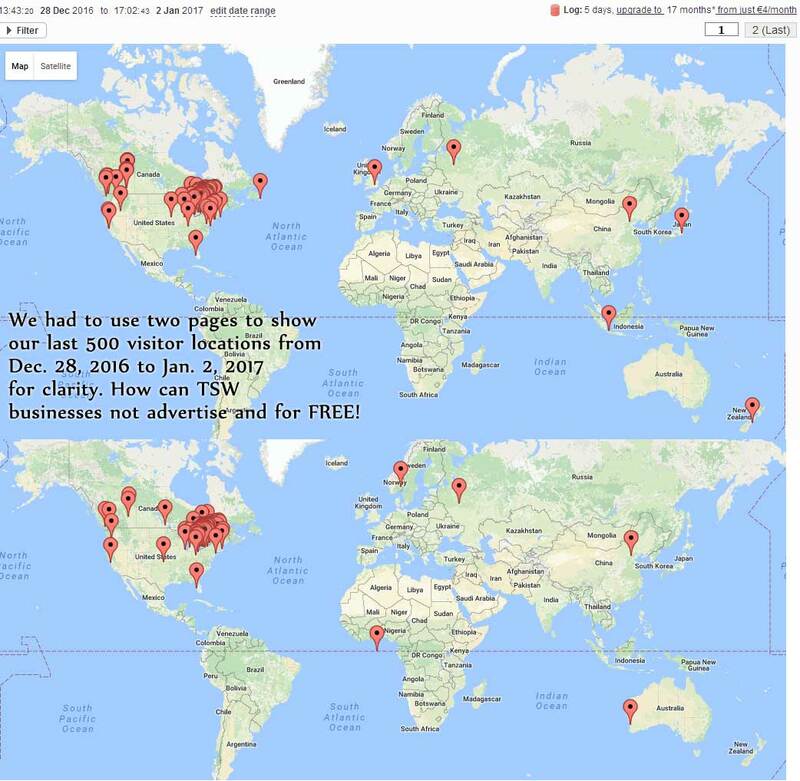 List your	business: FREE. NOTE: Lock stations are unstaffed after hours. Authorized visitors are asked to exercise caution. Unpermitted access to lock stations is prohibited between 10pm and 6am. For emergencies after hours, please call 911 for police, fire, ambulance. To report illegal harvesting of fish or wildlife, please call the Ministry of Natural Resources and Forestry TIPS line at 1-877-TIPS-MNR (847-7667). All vessels must arrive at the designated blue zone at least 30 minutes before closing time. At swing bridges, the last bridge swing will be 20 minutes prior to closing time. Nautical charts can be purchased during the navigation season at Locks 1, 18, 36, 42 and 45, or at the Peterborough Lift Lock Visitor Centre Gift Shop. 2 Nights - All other locks, Murray Canal swing bridges and bridge #50. Lock 6 offers electrical hook ups and showers (nearby); Lock 34 offers electrical and water hook ups. Note: Overnight Mooring passes include one free camp site. NOTE: Lockstations are unstaffed after hours. Authorized visitors are asked to exercise caution. Unpermitted access to lockstations is prohibited between 10pm and 6am. For emergencies after hours, please call 911 for police, fire, ambulance. To report illegal harvesting of fish or wildlife, please call the Ministry of Natural Resources and Forestry TIPS line at 1-877-TIPS-MNR (847-7667). New to Boating? Talk to our friendly lock staff for tips and information on locking through safely. Have fun! Station opening and closing times, as well as first and last lockage, are not guaranteed and may be affected by water management duties, maintenance activities or other types of navigation interruptions. Commercial cargo vessels may request off season passage through the Murray Canal until the first Friday of November by writing the Southern Sector Manager, Trent–Severn Waterway, Box 850, Campbellford, ON K0L 1L0 or by phoning 705-653-3240. At least 24 hours notice is required and a fee is charged for this service. Murray Canal swing bridges monitor VHF Channel 14 only during navigation season hours of operation. Operators whose vessels weigh more than 68t (75 tons), have a peculiar hull configuration or who foresee problems lifting the hull by sling, must contact Trent–Severn Waterway at 705-756-8802 at least 48 hours in advance of trip. Expect delays at this bridge. Trains are frequent and have priority over vessel traffic. Clearance when bridge closed is approximately 3.96 m (13 ft.). •	The Trent Severn Waterway is Central Ontario's 387 kilometers of waterway utilizing 41 locks, a marine railway and 2 hydraulic lift locks. The highest point, Balsam Lake is 180 meters (590 feet) above Lake Ontario	and 80 meters (260 feet) above Georgian Bay. •	Navigation here is easy, all the key data is on	one page. 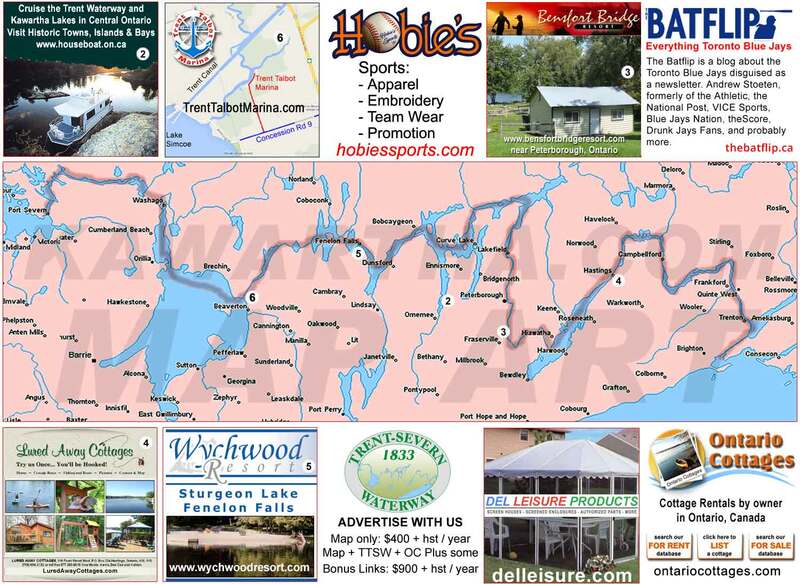 A click to the printable map or business directory or towns you pass by with quick links to their street map, grocery	shopping, LCBO and region. Trent-Severn Waterway over the years has been called simply trent severn or severn travel or trent severn canal or trent severn water or trent waterway or severn canal or trent canal and all names aptly describe The Trent Severn Waterway. 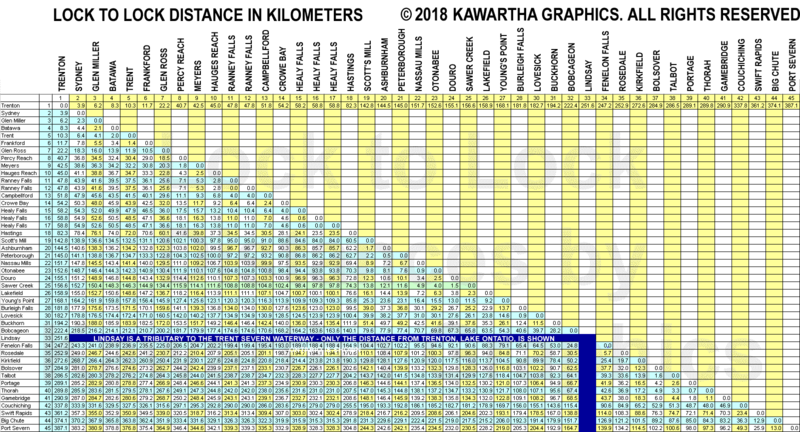 Here at our site, TheTrentSevernWaterway.com, we source the single details that you will need to use this resource running through Central Ontario, Canada. We employ and are in the midst of employing some of the following web sites to help those seeking The Trent Severn Waterway to do so. These websites are: thetrentsevernwaterway.com, trentcanal.com, trentcottages.com, trenthouseboatrentals.com, trentwaterway.com, severnwaterway.com and ontariowaterway.com . Hopefully this displays our committment to this great resource and helps you along the many pathways, onshore and offshore, of The Trent Severn Waterway! With thousands of features the must see parts are the Peterborough Hydraulic Lift lock, the world's highest hydraulic lift lock, the Kirkfield Lift Lock and the Big Chute Marine Railway, a portage taking you and your craft from The Trent Severn Waterway over to Georgian Bay, part of Lake Huron.